When looking on a world map to check out New Zealand, the ‘land of the Kiwis’ seems so tiny. But checking New Zealand travel times and distances are very important when planning your holiday. It looks so easy to navigate this little country in a matter of days. But this perception is so very wrong! Our big Australian neighbour calculates distances in the thousand kilometers (or miles). In New Zealand its more in the hundreds. 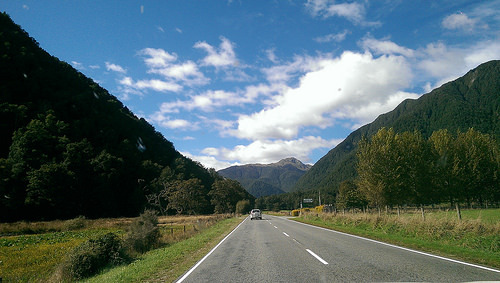 But the key difference is that New Zealand has a) lots of hills and mountain ranges and b) very few highways. So its very important to factor in travel times and distances in New Zealand to make an itinerary work! In fact our max. speed limit is 100 km/h (approx. 60 miles/h) – and that’s everywhere (note: this is currently being reviewed to 110 km/h for some parts of the road network). Based on incorrect assumptions, international travellers often plan their New Zealand holiday with insufficient time. 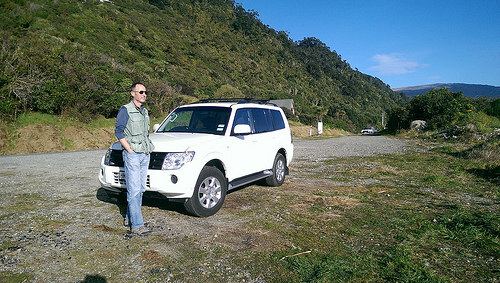 Travel time and distances in New Zealand are grossly underestimated – view a NZ map. It often turns out visitors spend more time on the road than they initially bargained for. Local New Zealanders frequently use domestic flights to cover those long distances, especially between the North & South Island. This saves not only time, but also money. If you book airfares in advance, they become quite affordable. And if you compare it with other modes of travel like ferry crossings plus the price of petrol, airfares compare very well. There are a number of online calculators available online – sample AA NZ. They are good and give a first impression on these subjects. The key issue is time (not the distance). Generally speaking, when travelling with a rental car, calculate on 80 km/h on average. And with a motorhome, calculate on 60 km/h. There is always a hill, windy road or a truck you have to pass. You really don’t want to do more then 250-300 kilometres (165 – 200 miles) on the road per day. Believe me, this will get very tiring and dangerous. Also, you want to have plenty of time to ‘stop and go’ at view points, scenic walks and guided tours. Rushing through New Zealand is not a good idea! By international standards, New Zealand airports are much smaller and that makes check-in and luggage procedure much shorter and really easy. 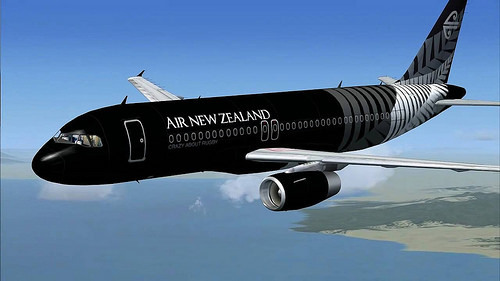 Air New Zealand is a well regarded local carrier. 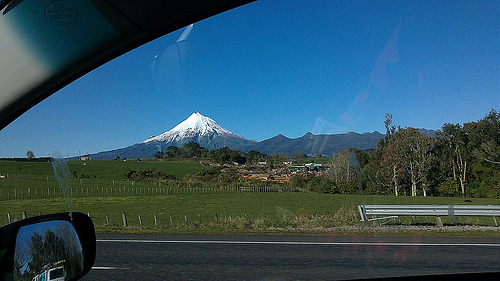 Happy travelling through New Zealand! Great article. Biggest mistake we see our guests make is judgement of driving times, not allowing enough time to take in the sights along the way and then arriving late and having to take off early in the morning to get to their next destination. Holiday is supposed to be that. Hope more people take note of your very very good advice. Yes, its still a familiar story Jan – think New Zealand’s geographical layout often surprises our visitors. And you are absolutely right – holidays are supposed to be relaxing. Great post! I loved exploring the North and South islands in NZ, but definitely came across the same realisation – there is so much space and open land, one of the reasons why its such a beautiful country but it also makes travelling more long-winded! Thanks for your great comments Pilot Mark. We think its a great idea for international travellers to do a bit of research before visiting New Zealand. This country is so geographically diverse and the scenery changes so quickly.